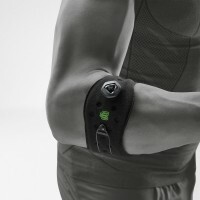 The Bauerfeind Sports Academy engineers worked closely with elite athletes to optimize Bauerfeind’s innovative, industry-leading designs, specifically for sports. 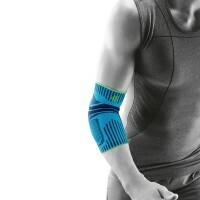 Bauerfeind Sports Line products give athletes the confidence to go all-out. 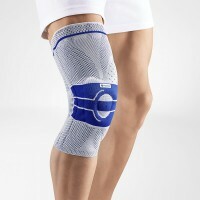 The Sports Ankle Support Dynamic improves circulation and stimulates muscle regeneration. 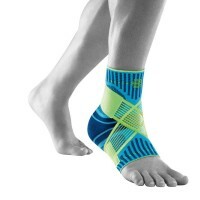 The unparalleled comfort, breathability and durability protect your ankle and help maintain peak performance. 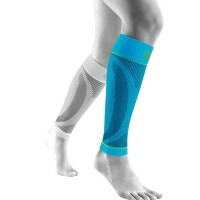 The Sports Ankle Support Dynamic supports the ankle during long and intensive periods of sports training. 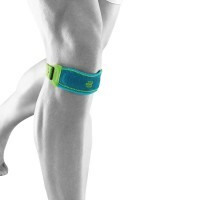 Whether it’s running, walking, fitness, or outdoor sport, the hard-wearing ankle support counteracts overloading complaints and helps wearers feel secure when running during training and competitions. 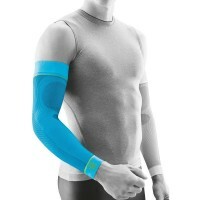 The various knitted fabric zones promote depth perception with gentle compression. This stimulation triggers positive sensorimotor feedback in the ankle and stimulates the circulation and metabolism: The ligaments are relieved and the stabilizing muscles in the foot are activated more quickly, thus considerably improving joint coordination. 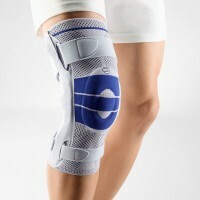 The knitted fabric of the Sports Ankle Support Dynamic is similar to a fine net made of an airy mesh and consists of breathable, hard-wearing material. 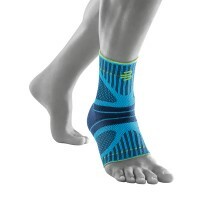 The support is extremely comfortable to wear on the ankle. 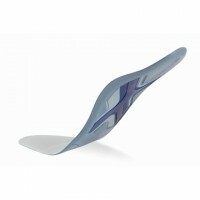 The material, which is gentle on the skin, sits comfortably and does not dig in thanks to a pressure-free edge. It is particularly light and ideally suited to sport. 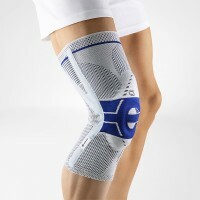 Its anatomic fit guarantees a secure fit and maximum freedom of movement.